Who misses the pikachu festival? This is a great place to take kids for free. See domo at the NHK TV station in Minatomirai Yokohama Japan. The train is the best way to travel in Japan. 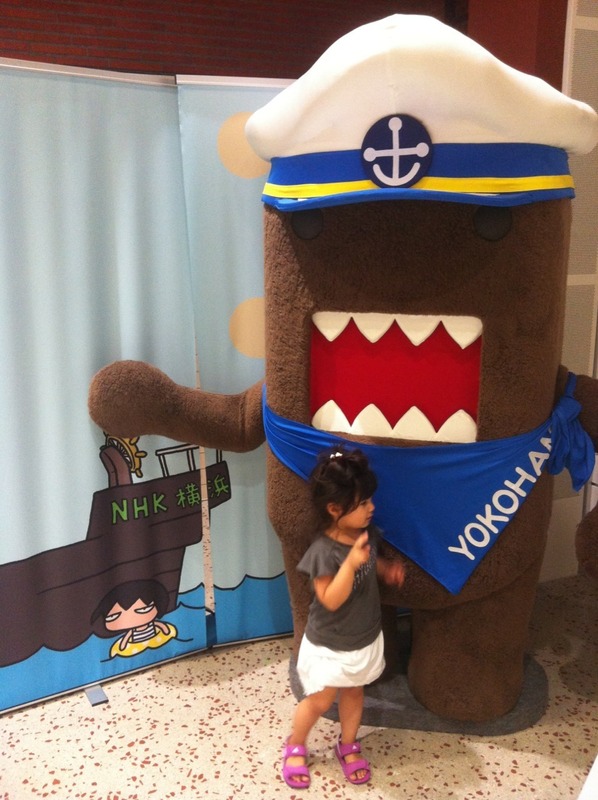 If you’re a child aged 0 to 5 you can travel free, children aged 6 to 11 travel at half fare. If you’re an adult you may get offered a free ticket from someone who is done with his or her all day pass. I would always give away my all day pass to someone when I had reached my final destination for the day. All day passes are a great option when in Osaka and Tokyo. 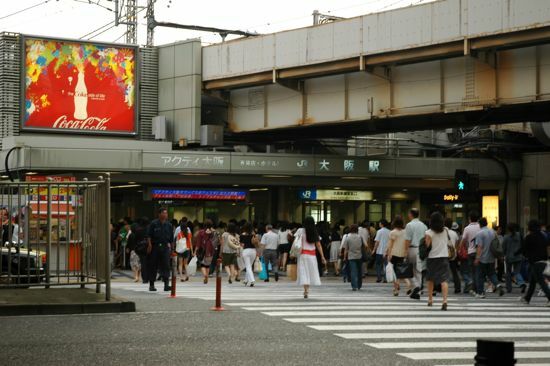 Major cities, especially Osaka and Tokyo, have massive rail systems that move millions of people a day. These transport networks include a loop line around the inner city center and other lines coming into the central stations from the suburbs, and a subway system that crosses in all directions all over the city. The Osaka JR (Japan Rail) loop line is a fun sight seeing adventure that costs almost nothing. Buy the cheapest ticket for 120 yen, which will take you to the next station, but don’t get off. Continue to ride the loop line all the way around. It’s all above ground, so there are lots of sights to see. Make sure you don’t get off at the station you started at. Exit one station from your destination, as the ticket won’t allow you to exit the station that you bought it at. Tokyo also has an interesting loop line to ride. 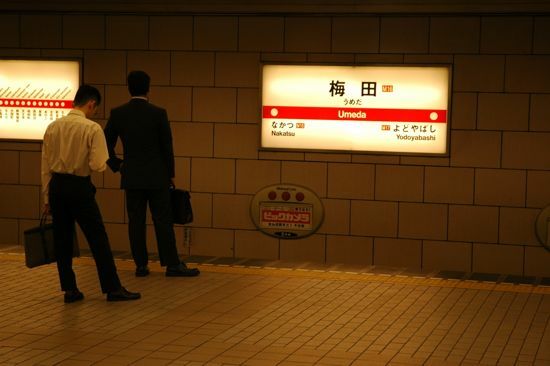 Most train station names are posted in Kanji and English and also the names of the preceding and following stations. 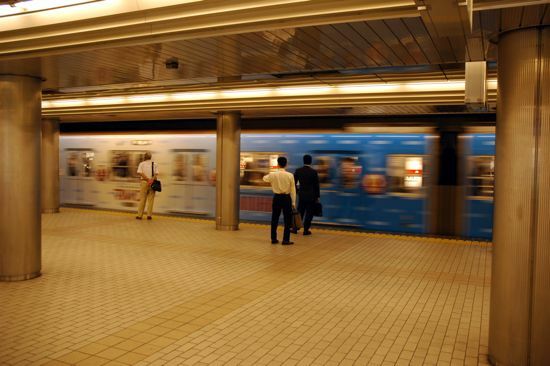 Subway lines operate in Tokyo, Osaka, Kobe, Kyoto, Nagoya, Fukuoka, Sapporo, and Yokohama. They are the fastest and most convenient way to get around the city. For subways and local trains, you have to buy your ticket from a machine. They're easy to understand, they even have English instructions and a map explaining the routes and the cost to travel to each station on the map. From this you can find out what your fare should be. If you can't work out how much the fare should be, simply buy the lowest price ticket, usually 120 yen. When you reach your destination, go to the ticket-adjustment machine, insert your ticket and it will tell you how much more you have to pay. If you can’t find the fare adjustment machine ask at the staffed counter at the exit gate and pay the difference. 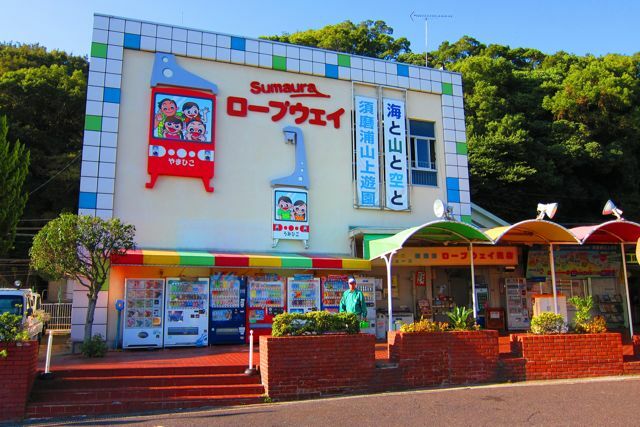 If you wish to ride anywhere for 120 yen, buy a ticket for 120 yen, and when you reach your destination tell the staff at the ticket office that you have lost your ticket. If it’s a small station with only one staff member, sometimes they will let you exit the station without paying anything. Otherwise they will ask you where you came from. Make sure you know the name of the closest station to your destination, and then they will ask you to pay for another ticket, which should only cost you 120 yen. If you have traveled far between cities it could save you 2000 to 4000 yen or even more! 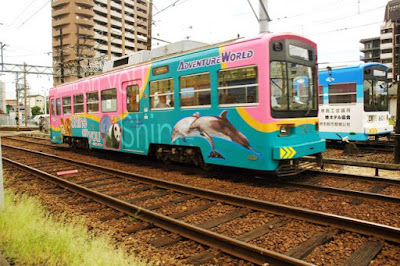 For example its possible to travel from Kansai Airport to Osaka, Kobe, Kyoto, Shiga, Wakayama, Himeji or even as far as Okayama on the JR train line without ever exiting the station and paying for another ticket except your initial 120 yen investment. I don’t recommend doing this regularly, as they have cameras at the stations, and will keep a photo of you in case you re offend. This is for emergencies when you have nearly run out of money, or lost your money and need to reach your destination far from where you are. Please try to leave Japan a better place than you found it. 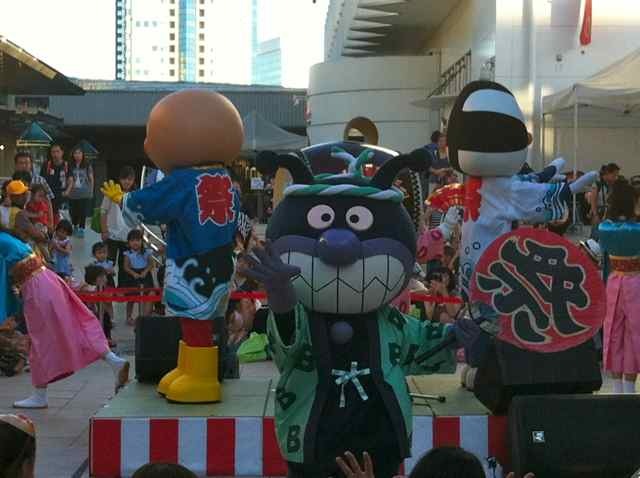 Most people in Japan abide by the law, and so should you if you wish to have good fortune and a great holiday. If you find my articles informative and interesting, please help support my writing career and my family by making a small donation, or by sharing this website through social media. If you wish to donate a small amount of money by credit card go to my fan funding page on Youtube. Pay Pal payments can be made at stingyscoundreljapan@gmail.com. Other ways to help support my site are to buy products through my Amazon and Rakuten affiliate advertisements. Japan has good bus services. It is the most difficult transport system for foreign travellers to use, so is usually underutilized. Stops are often written only in Kanji. So learn the kanji for your destinations. Have pictures of them on your phone. Ask the driver to tell you when to get off. Depending on the city, payment may be required when you get on, or not until you get off. In some cities, there's a flat fee regardless of distance traveled. In the other cities, you take a ticket as you board that has a zone number, which is your starting point. When you exit the bus, a sign at the front of the bus shows the fare charged for each starting zone number. You just have to pay the driver the fare that matches your zone number, by putting the ticket and your money into a fare box. There may be a change machine near the front of the bus that can change 100 yen coins, 500 yen coins and 1000 yen notes. Some buses require you pay when you board. The buses I ride in the suburbs of Osaka cannot change 10,000 yen notes. One day I boarded the bus with only a 10,000 yen note and found out how to ride for free. The driver could not change it, and he let me ride the bus for free. One time I found myself without change, an old man paid my ticket, and then proceeded to complain to me for the whole journey about how I should always bring change. Keep in mind if you present a 10,000 yen note, the driver can refuse you entry to the bus. The bus around the inner city of Osaka is a great way to sight-see. It will take you down streets that you would never see if you just rode the subway. The suburban buses are harder to use, and run less frequently. Make sure to plan your trip carefully before boarding a bus. If you find my articles informative and interesting, please help support my writing career and my family, by donating to my fan funding page on Youtube, or via Pay Pal at stingyscoundreljapan@gmail.com. The city of Yokohama Japan, is now hosting a Pickachu Summer street festival until Monday the 17th of August 2015. 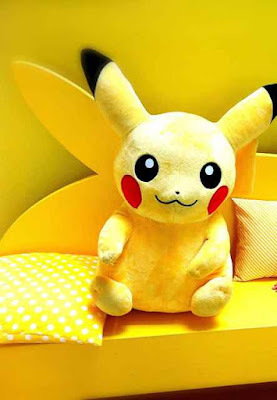 Pikachu is the popular mascot for the Pokémon cartoon and video game chain. 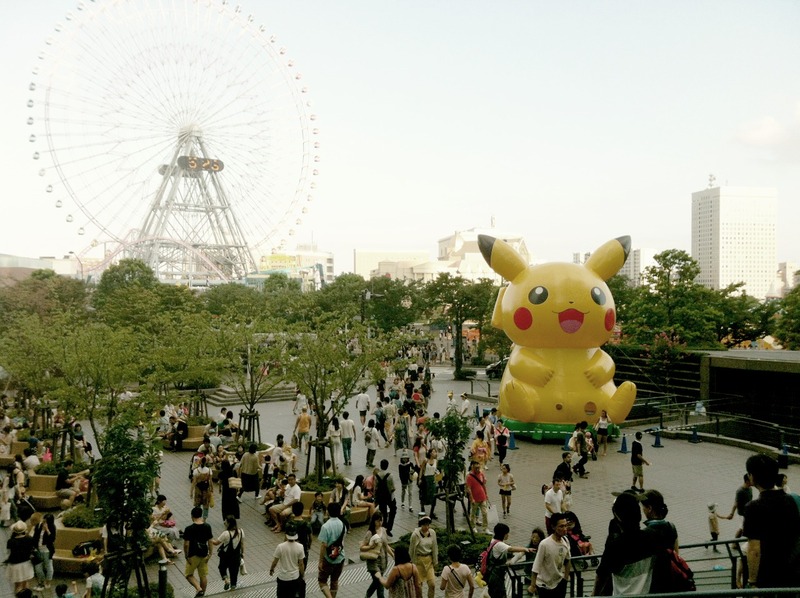 Over 1000 Giant Pikachus will be in the Yokohama Minatomirai area. 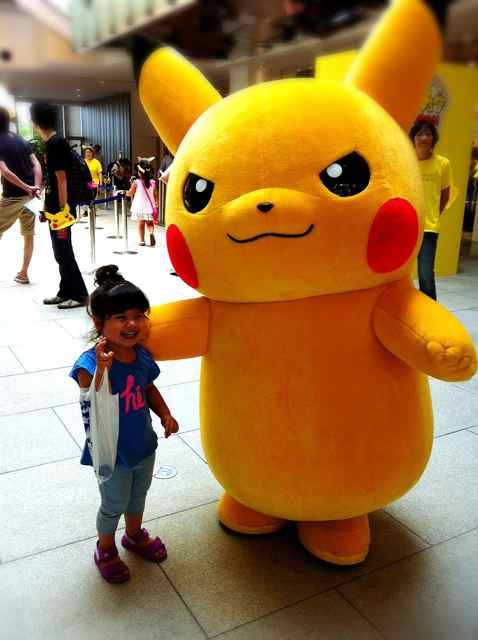 To see the Giant Pikachus go to the Landmark Hall Shopping Center in Yokohama Minatomirai Japan. They will also be performing dance routines in random areas on the streets of the Minatomirai harbor area, Sakuragicho Station, and also at the Aka Renga complex.While you are there check out the free Anpanman Show. 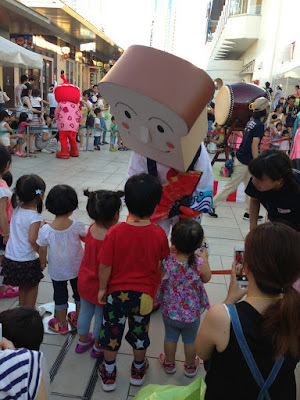 Summer is a great time to take children to see outdoor shows in Japan. The Anpanman museums are located in Yokohama, Sendai, Nagoya, Fukuoka and Kobe. 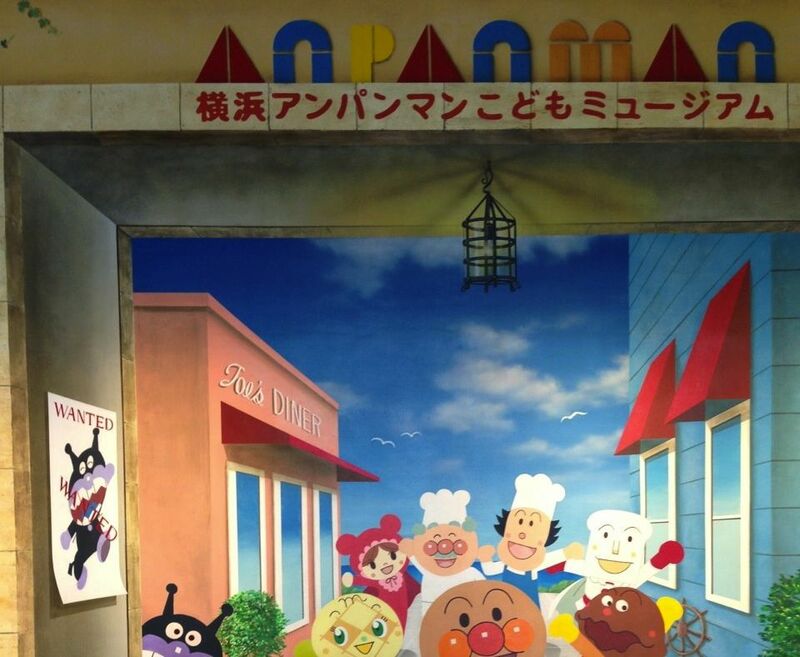 Here your children can enjoy the world of one of Japans most famous cartoon characters, Anpanman. This cartoon series is over 30 years old and is still a very popular children's TV show and book series. 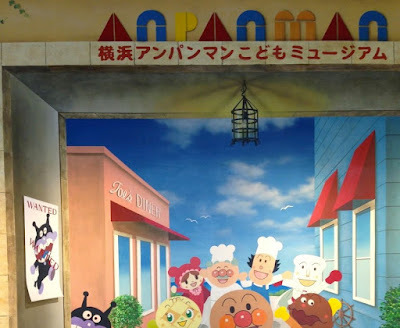 The entry fee to the Anpanman musuem is 1500yen for children over 1 year of age and adults. 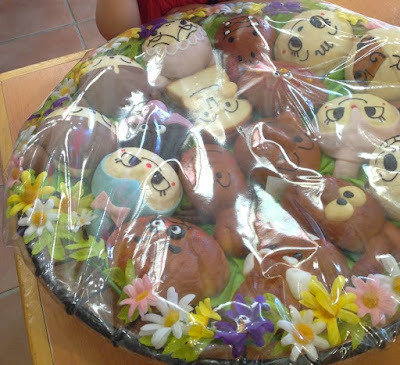 A small gift is given to each child upon entry. However there are free shows on weekends in front of the museum and there is an interesting shop with food and souvenirs that will also interest children. 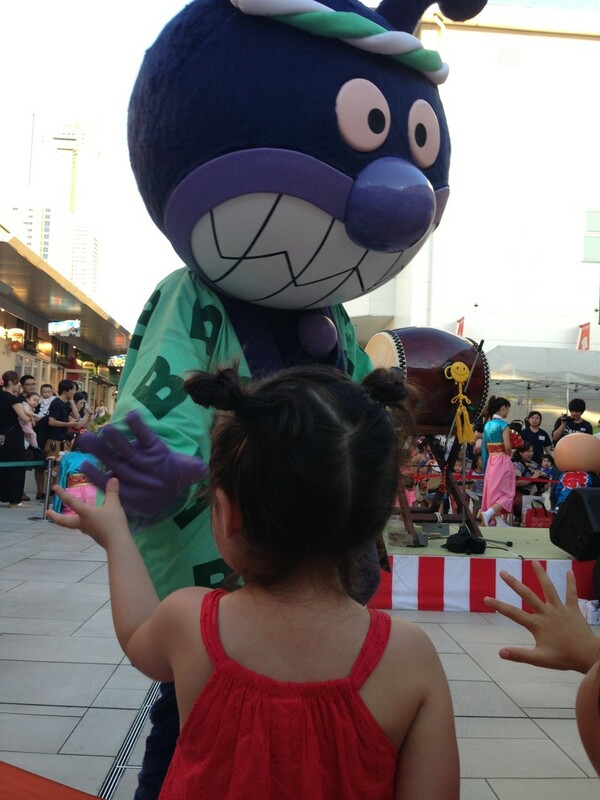 I recently took my daughter to see the free show in Yokohama. She was very impressed by it, and enjoyed meeting all the characters including Anpanman, Currypanman, Shokupanman, Uncle Jam, Batako, Cheese, Baikinman, Dokinchan, Horaaman, and, Melonpanna. Museum Opening hours are: 10 am to 6pm. The shop is open until 7pm. I recently went to Uniqlo near Umeda Station in Osaka. 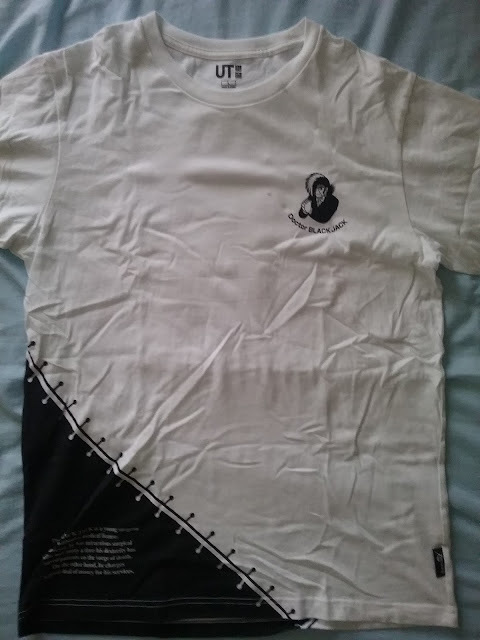 I picked up a Black Jack shirt for only 500 yen. Black Jack is a very famous Manga character in Japan. Great deals can be found at Uniqlo as they have sales every weekend. It is usually cheaper to buy on weekends than on weekdays. 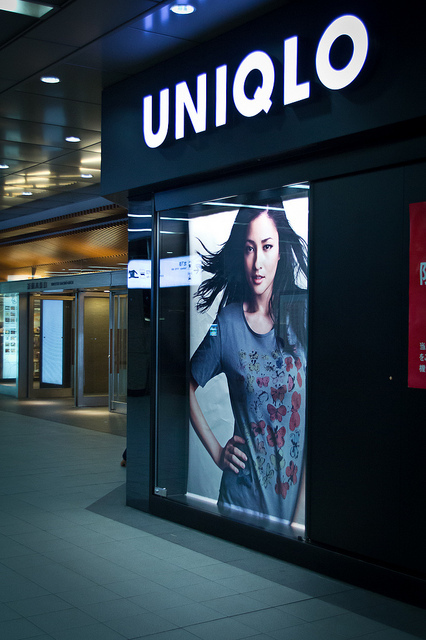 Some stores will also heavily discount excess stock, so some Uniqlo stores will have cheaper items than others. 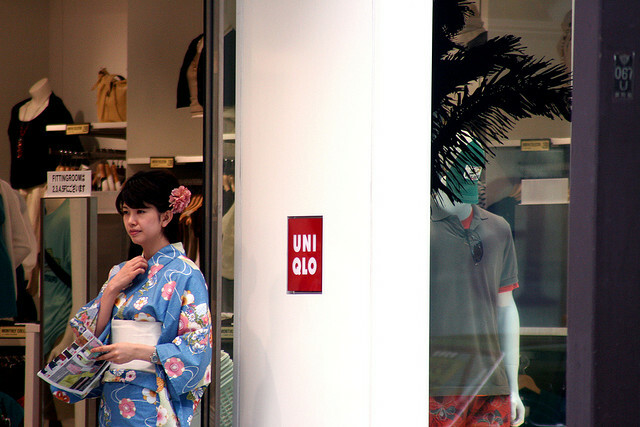 Therefore it is a good idea to look inside different Uniqlo stores when bargain hunting. 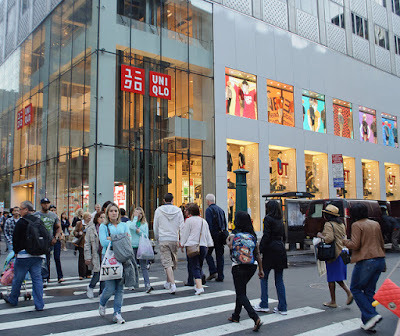 End of season is another great time to get heavily discounted merchandise at Uniqlo. 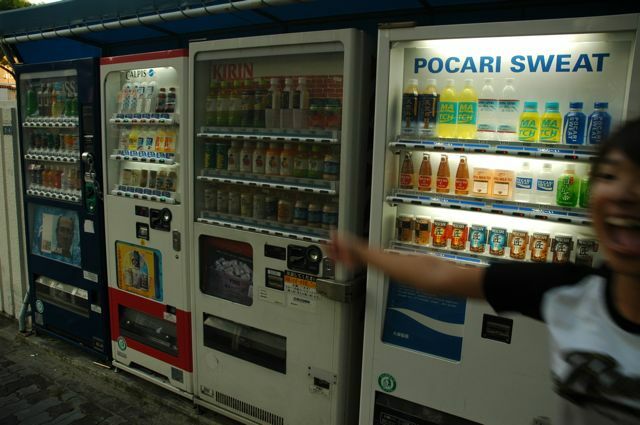 Vending machines in Japan sell a huge assortment of products, mostly drinks including beer and other alcoholic drinks, cold or hot tea, soft drinks, soup, cigarettes, food, toys, cards, books and even umbrellas. 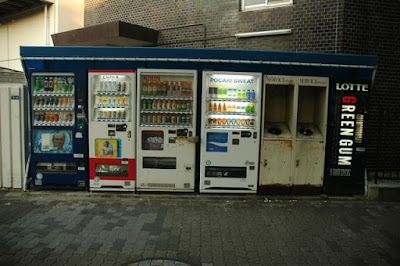 For more information about vending machines in Japan visit Japan Daily Fun Facts. Over 50 percent of Japan’s vending machine market sells beverages, which has led to companies developing technology that allows the vending machines to store heated as well as refrigerated drinks. The most popular brands of drinks are Pocari Sweat, Calpis Water, C.C. Lemon and Aquarius. The average price for a drink from a vending machine is about 150 yen. A Japanese convenience store also averages about 150 yen per drink. Some lesser known brands of drinks are priced at about 80 yen, however these are smaller and don’t taste as good. If your looking for the best deal in Japan on drinks always buy from a supermarket. All the well known brands usually sell for 100 or 120 yen. Sometimes the extra large sizes are about 150 yen but they are better value for the money. The cheapest drinks to be found in Japan are sold at Super Tamade supermarkets in Osaka. 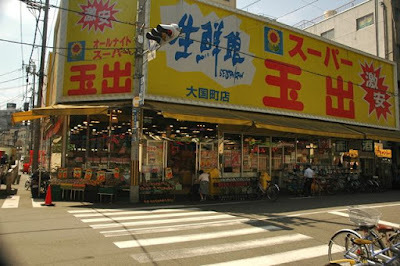 The suburbs of Osaka have many of these super markets. Osaka Castle has a musuem inside the castle with many artifacts on display, a beautiful 360 panoramic view and gardens with cherry blossom trees. Children under 15 are admitted for free! Adults only pay 600 yen each. 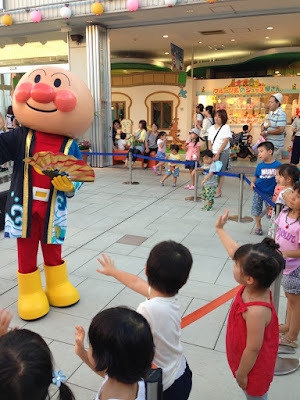 If you have a large group of fifteen people you can get in for 500 yen each. Opening times are 9am to 5pm. This is a very affordable place to take your family. There are also open spaces outside the castle to have a picnic. 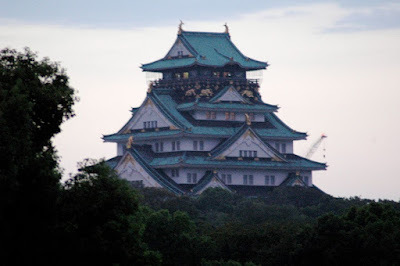 For more information on the history, things to do at Osaka Castle and how to get there please see my detailed story on Osaka Castle on Hubpages. 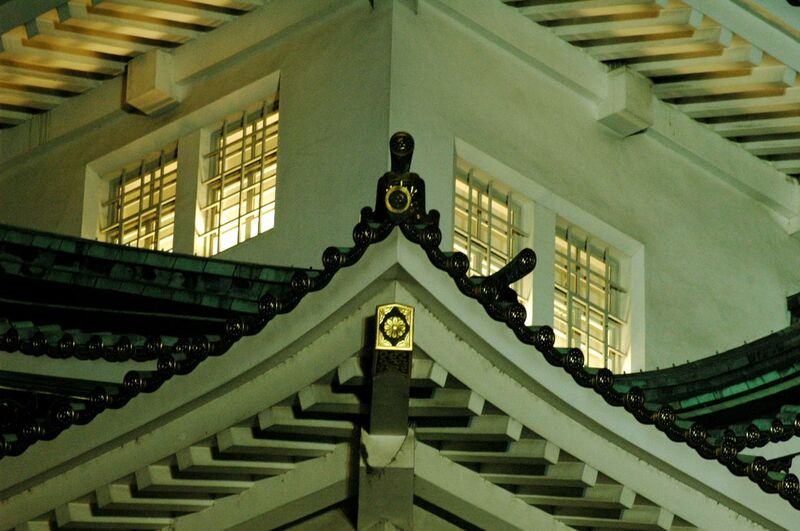 Here is the official Osaka Castle Museum Website. 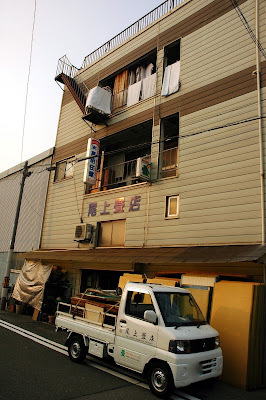 I was recently down at a small tatami factory in Shin Nagata Kobe ordering some new tatami mats. My daughter was helping to sweep the floor. Then along came the tatami cat, which became frightened of the dog and jumped over it. It was very funny. 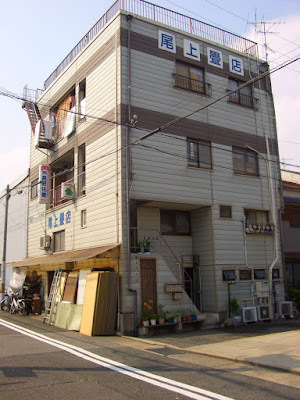 Mr Kanatani is one of Hyogo's best ever Tatami makers having won many awards. 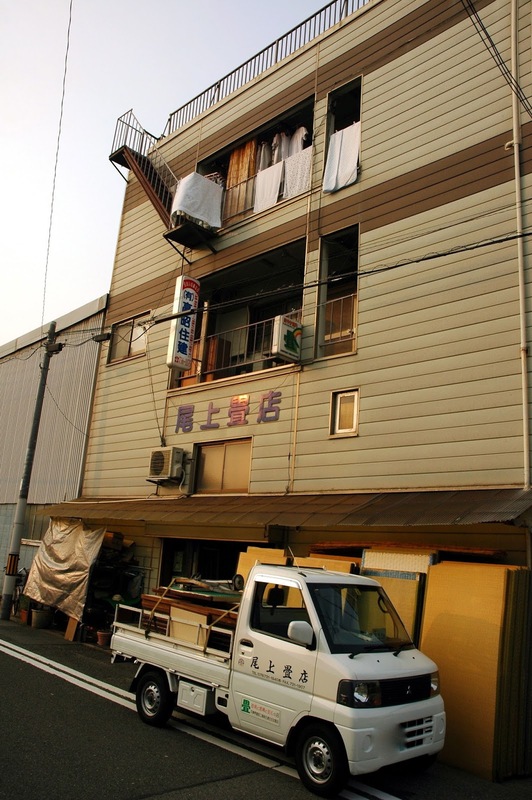 He has run this small tatami business for over 30 years. I highly recommend his services. Please see the map below for directions to get there.